Despite navigating icy mountain roads, white outs, avalanche delays, and failing brakes Justin Stein arrived in Ontario on March 16 with a positive attitude. Earlier this month Justin announced his imminent return to racing on Facebook and connected with agent Anthony Esposito to start booking his mounts. 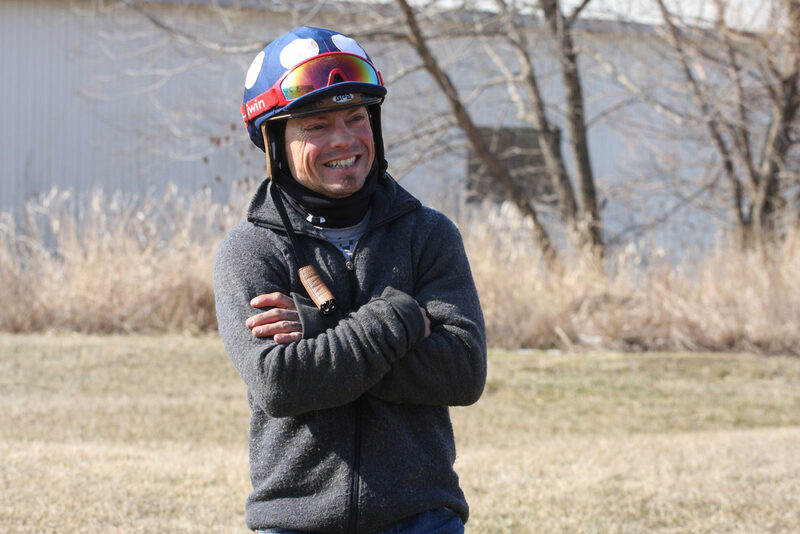 Justin made the trek from Pinantan Lake, a small community of 500 people located 20 minutes from Kamloops, British Columbia, to Toronto in 47 hours and is already working hard to get fit and ready to rejoin the jockey colony when racing returns to Woodbine April 20. While getting on horses at Pine Valley Training Centre it was easy to see that the former Queen’s Plate winning jockey was back in his element. 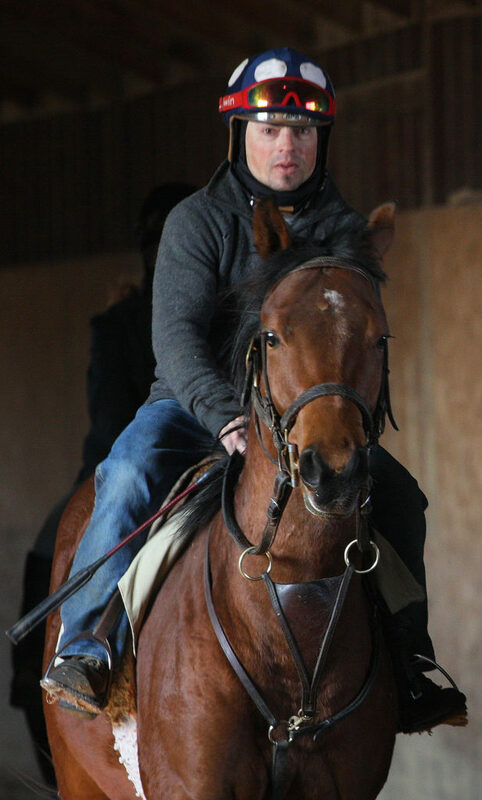 Born in New Westminster, British Columbia, Justin began riding as an apprentice at Hastings Park in 2005. He was the runaway leading rider that year with 148 wins including seven stakes on his way to both Sovereign Award and Eclipse Awards finalist nods for leading apprentice. Moving his tack to Woodbine in 2006 he finished fourth in the standings and again was nominated for a Sovereign Award for his apprentice riding. Justin remained one of the 10 top riders at Woodbine throughout his career. In 2012 he recorded a memorable season finishing fifth in the standings after winning 116 races which included his first Queen’s Plate win with Strait of Dover. In 2014 Justin officially adopted the retired Stormy Lord with whom he had won both the $250,000 PTHA President’s Cup at Parx and the Labeeb Stakes at Woodbine. In 2015, he won the $500,000 Woodbine Oaks, the G3 Canadian Derby at Northlands Park and the G3 B.C. Derby at Hastings with filly Academic. And September 5 that year Justin achieved his 1000th career win. Then less than a month into the 2016 racing season at Woodbine Justin publicly announced his retirement from racing. He and his family were looking for a simpler life however he never ruled out coming back one day.